The following Quick Tip is from the book I co-authored with Jayne Cravens, The Last Virtual Volunteering Guidebook: Fully Integrating Online Service into Volunteer Involvement. We celebrated International Volunteer Managers Day 2017 on November 5 with the theme "Be the Voice!" Last month, Susan started the conversation about what this call-to-action means and how can each of us speak out effectively on behalf of our profession. Please continue the celebration and join the conversation this month by commenting below the Hot Topic. Read this Month's Hot Topic. Now is the time for nonprofit organizations to register for the OpenAir Challenge. Organized by Austin-based nonprofit organization Knowbility, OpenAIR (Accessibility Internet Rally) is a global Web accessibility challenge that pairs participating teams of Web developers and designers with registered nonprofits looking to create or improve their Web site, especially making sites accessible to everyone, including people with disabilities. See the Quick Tip in this Update for ideas on making online information accessible to volunteers with disabilities. Why does this matter to leaders of volunteers? Volunteer management expert and Knowbility liaison Jayne Cravens said it best in one of her latest blog posts: "People with disabilities want to donate, volunteer and otherwise support causes they care about. Like all people, they love the arts, animals, and the environment, they enjoy beautiful parks and fun outdoor activities, they support education, they want serious social problems addressed, and they want to be involved in these causes - as employees, as donors, as volunteers and as clients. 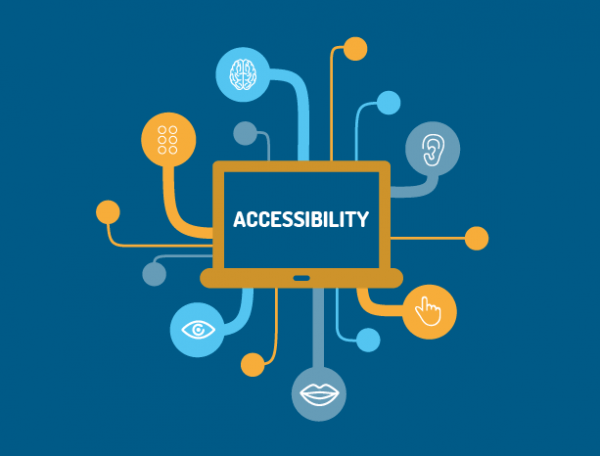 But if your organization's Web site isn't accessible to them, you leave them out - and that means you leave out potential donors, volunteers, clients, ideas, talent and more." U.S. Census Bureau for the Bureau of Labor Statistics released data in 2015 saying 41.6% of Americans who volunteered became involved in their roles by approaching the organizations themselves (as opposed to being asked). If potential volunteers search for opportunities and learn about organizations via the Internet, doesn't it make sense that organization Web sites, including information about how to volunteer, be accessible and inviting to all those interested? To participate in the February 2018 event, organizations must register by December 31, 2017. Visit the OpenAir Web site to register and find out more information. spinktank (headed by Erin Spink) is hosting a collaborative effort to compile volunteer management ideas for the upcoming year. 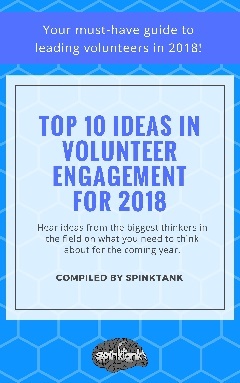 Find out what's on the minds of the biggest thinkers in volunteer engagement as they flip the calendar to 2018. Contributors include Andy Fryar, Rob Jackson, Elisa Kosarin, Meridian Swift and Tobi Johnson to name just a few. Sign up to receive a copy of the FREE ebook here . e-Volunteerism, our international, subscription-based journal, has begun our 18th volume year. The new issue will be live through January 14, 2018. As always, all previous journal issues are available to subscribers online in the Archives. (Vol X, Issue 2 January 2010) - Betty Stallings presents information about single days of service via organized, large-scale events. Although such episodic volunteering is a major trend in volunteering, too often we evaluate these events on the specific outcomes of that one day of effort - and end up questioning whether the return on the time we invested was worth it. However, single days of service can be important for their potential to provide a point of entry for many people who then become further engaged in service to your organization or community. Dissecting the Controversy of Volunteer Projects for Asylum Seekers - The Daily Mail online recently published a Reuters article, " Good job or taking work? Volunteering by asylum seekers in Italy praised and panned. " It provides an interesting outline of the pros and cons of an initiative in Italy which offers migrants from sub-Saharan Africa - who are living in temporary reception centers - the option of spending some time doing community service work. The article is a very balanced piece putting forward opposing views, summarized like this: "Frustrated at long waits while asylum applications are handled, many migrants have been more than happy to get involved in volunteer work. But this has irked some critics who see it as either exploiting migrant labour or taking jobs from Italians." The controversy is real and all sides have valid points. Co-authors Rob Jackson and Susan J. Ellis explore it all in this issue's Points of View . I Thought I Knew How to Manage Volunteers - Until I Had to Run a Church - In this e-Volunteerism feature, Vicar Dyer argues that many of the strategic approaches to volunteer management don't automatically apply in churches. 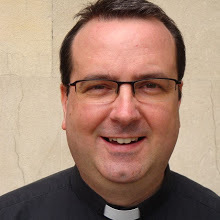 He offers advice and guidance to clergy and volunteer managers in religious settings, and explains why "it is vital to understand which roles will benefit from more conventional approaches to volunteer management (such as office holders or those volunteering for a discrete church programme), and those for which a more relationship-based and collaborative approach will work better." Above all, he believes, "individualisation rather than standardisation is the key." 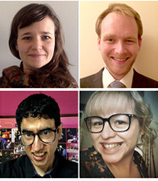 In this Voices, Bonnie Learmonth, James O'Brien, Shaleen Rakesh, and Goopy Parke Weaving identify and explore some of the environmental elements that contribute to the success of volunteers and the organisations that rely on volunteers to achieve their mission. These include contextual elements like how well people understand and recognise the impact of volunteerism; actor-based elements like the role of the state, civil society, and the private sector in enabling volunteering; relationships and power dynamics between actors; as well as system-wide factors like partnerships, technology, and funding. This issue of e-Volunteerism, marks the beginning of Volume XVIII. Great articles are in process for this issue, including: case studies to explore boundary-crossing dilemams; resources to help you develop strong volunteer handbooks; a consideration of ethics in working with volunteers; and more. As always, the articles from all past issues remain available in the journal Archives . Take a moment to find the humor in engaging volunteers at our Humor about Volunteering playlist on YouTube.com. Here's a funny sample. Visit our YouTube playlist to see this video and more that we have collect for you. Feel free to share ! For instance, people with sight impairments sometimes use a special screen reader that con­verts whatever is on the screen to audible speech - meaning that the person hears the site rather than sees it. Text is presented in one voice, while hyper-linked text (text that leads to another Web page or another Web site) is presented in another. Just like everyone else, people with sight impairments some­ times just want to scan the links on a Web page in order to find something specific. If your links are presented only as click here or read more, that is all a person using a screen reader will hear, over and over again. Not very helpful! Instead, link from identi­fying text such as "donor information," "volunteer application," or "history of our organization." Here's another example: your Web site may require someone to hold down several keys at once in order to make multiple choices on a pull-down menu. This can potentially leave out someone who has limited hand use. An alternative is to place check boxes on a Web page, allowing a user to click on multiple choices. Equitable Use. The design is useful and marketable to people with diverse abilities. For example, a Web site that is designed so that it is accessible to everyone, including people with: slow Internet connections; older hardware and software; a Web browser different than the one your Web designer used; and assistive technologies. Flexibility in Use. The design accommodates a wide range of individual preferences and abilities. An example is a podcast offered as a text transcript, not only for people with hearing impairments but for people who prefer reading to listening. Simple and Intuitive. Use of the design is easy to understand, regardless of the user's experience, knowledge, language skills, or current concentration level. This means, on a Web site, both graphically-represented links (photos, icons, and other graphics) and links via text. Perceptible Information. The design effectively communicates necessary information to the user, regardless of ambient conditions or the user's sensory abilities. An example of this principle is when an online video includes captioning. Tolerance for Error. The design minimizes hazards and the adverse consequences of accidental or unintended actions. An example of applying this principle is an online training module that provides guidance and background information when the new volunteer makes an inappropriate selection, explaining to him or her what the correct answer is and why. Low Physical Effort. The design can be used efficiently and comfortably and with a minimum of fatigue. An illustration of this is the earlier example of a Web site menu that does not require the user to hold down more than one key. Size and Space for Approach and Use. Appropriate size and space are provided for approach, reach, manipulation, and use regardless of the user's body size, posture, or mobility-and regardless of the user's hardware, including screen size.